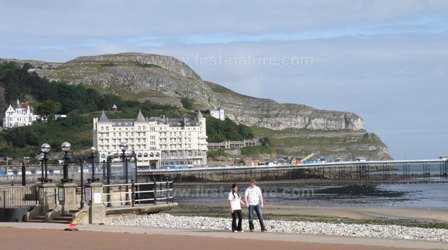 Below: Great Orme is hard to miss from the seafront in Llandudno as it looms behind the Grand Hotel. This nature reserve is on Great Orme at Llandudno, and so in the summertime it can be reached via the cabin-lift from the town. There is also a tram service. The nature reserve is a 5-minute walk from the ‘Halfway Tram Station’ or a 10-minute walk from the main car park at the top of Great Orme. Although very well trodden by summer visitors to come to the area mainly for its seaside attractions, Great Orme, still has a wealth of wildlife that people can see and enjoy. This area is also rich in features of both historical and geological interest. Great Orme is difficult to miss once you are in Llandudno. If travelling by car the simplest way to reach the summit car park is to drive along the seafront and continue past the Grand Hotel on the same road, which leads up onto Great Orme. 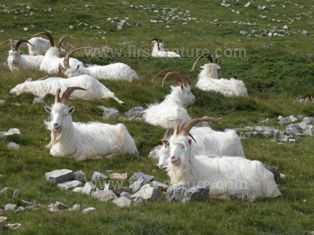 On the summit of Great Orme there is a visitor centre with information about its history, wildlife and geology. There is a camera feed showing live footage of the nesting seabirds on the cliffs, and also a classroom for the use of visiting groups. Other facilities on Great Orme include toilets, a café, a gift shop, a play area, and an amusement arcade. The centre is open seven days a week throughout the summer months. 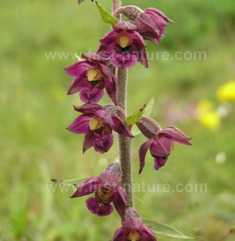 The nature reserve is open all year round. Some of the steep and rocky areas are enclosed and are not for public access. This reserve is not suitable for people with mobility or fitness limitations. From Great Orme the views of Liverpool Bay, Conwy Bay and the Snowdonia mountains are spectacular, but if you can tear your eyes away from them there is a lot of wildlife to enjoy, some of which is unique to the area. The beautiful displays of wildflowers, which run from early spring right though into the autumn, owe much to the limestone that lies beneath the heath and grassland. Great Orme has large areas of exposed limestone pavemen. These consist of slabs of limestone (called clints), which are divided by deep channels (known as grykes) caused by rain trickling over the soft rock over many thousands of years. Although this landscape looks barren from a distance, once you get up close you can see that a great diversity of plants and wildflowers have capitalised on the thin layer of moist soil that lies within the grykes. 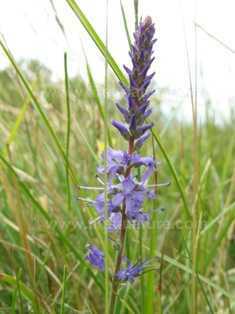 Great Orme is home to a number of special and rare plants - Spiked Speedwell (Veronica spicata), Orme Berry (Cotoneaster cambricus) only found on Great Orme, Bloody Cranesbill (Gerineum sangineum) and Dark Red Helleborine (Epipactis atrorubens) to name but a few. Because of the great diversity of wildflowers, insect life is also abundant and several endangered species of butterflies and moths occur including the Silver-studded Blue Butterfly (Plebejus argus), Silky Wave moth (Idaea dilutaria) and also the Grayling (Hipparchia semele). Limited numbers of feral goats are allowed to graze the site, and the wildflowers that need short sward grassland, such as Thrift (Armeria maritima) and Common Rockrose (Heliathemum nummularium), benefit from this managed activity. The sea cliffs of Great Orme are home to many breeding colonies of seabirds. Guillemots (Uria aalge), Razorbills (Alca torda) and Kittiwakes (Rissa tridactyla) can all be seen there. The more remote parts of the Orme are inhabited by Little Owls (Athene noctua).